Pegasus Whirlpool baths are proudly showing their innovative 4th Generation total draining pipework on the front page of their website. It works on gravity – quite simply, what goes up must come down! Pumping the water up to the venturi from the base of the bath ensures that when the bath empties, all the water will drain back down to the base and out through the special draining pop up waste supplied with every Pegasus Whirlpool Bath. 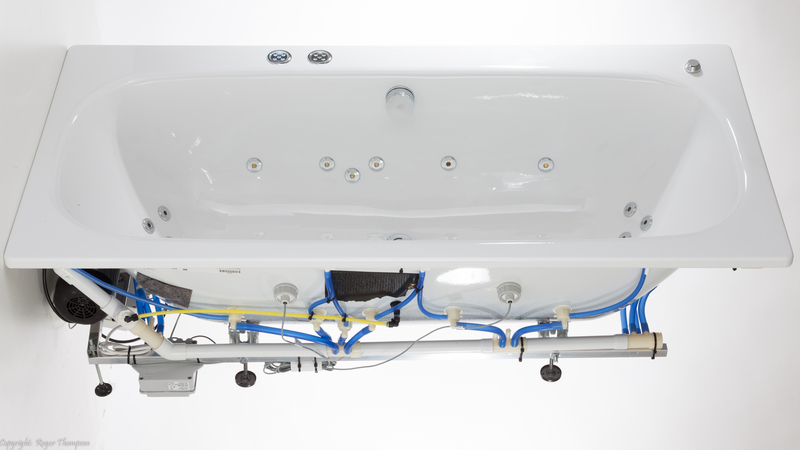 To see an example of a bath fitted with this new 4th Generation pipework, Click here: www.pegasuswhirlpoolbaths.co.uk & click on your mouse and drag it from left to right to make the image rotate through 360 degrees vertically and horizontally. Previous PostGetting the correct replacement whirlpool bath pump?Next PostWhat’s the difference between a Jacuzzi and a whirlpool bath?